The winter of 2013 / 2014 was very strange. The USA had terrible frost and huge snowfall, whereas the winter in Europe where I live was extraordinarily warm. We had only two weeks in January with the temperature below zero degrees Celsius and almost no snow. In order to remember this warm winter I felt like recording some warm sounds. Here they are. Enjoy them and remember to save your energy. Now you can pre-order my new cassette entitled “Warm Winer Music” published by Matthew Barlow in his awesome boutique cassette label called Twin Springs Tapes. There are 2 tracks, both about 20 minutes long, so you will get a C-40 BASF chrome cassette if you order one. This is the second time I played “Frozen Lake” live. This time with the young trumpet player Michał Kluba. 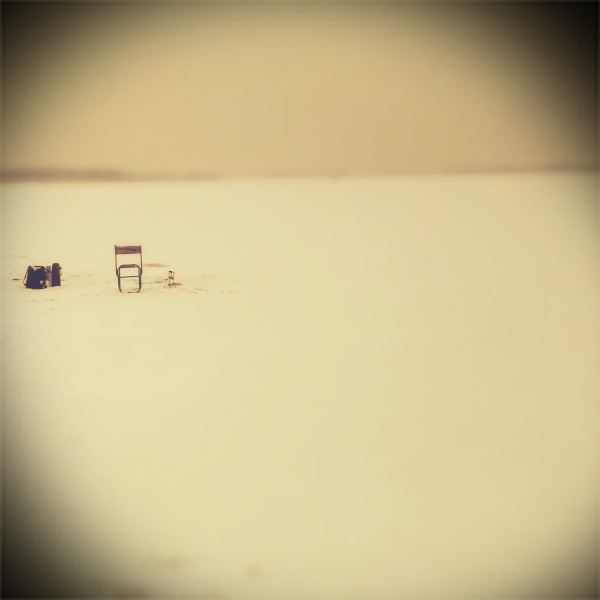 I started working on new material called “Frozen Lake” inspired by the lake which is near the place I live. I presented it for the first time during WEF.LIVE.LAB on 23.02.2013 in Zachęta National Gallery of Art in Warsaw. My new album “Remaining Sounds” is already available on BandCamp (the Download version, we are still waiting for the physical goods!). Here is a video I made for the track called “Remaining Motionless“. The clips were recorded in January 2011 and I wanted to use them for a different track, but now I think they fit amazingly well here! When I saw the instructions my first thought was “No, not this time.” But than I started thinking if I have some field recordings I could use in order not to use the ones provided. (I really like working on my own stuff). When I found the sounds in my library of field recordings I thought of a nice one my friend recorded in winter (info below). Than I started thinking that it may be boring to work only with field recordings. I thought that to create the background I will use all field recordings in the same time but strongly transformed. And when I started transforming the background I spend over two hours just listening to the noises, hisses, drones I was doing and that process told me that I have to finish this assignment. I recorded many backgrounds and I even thought that they may be useful in my other projects. It was a great experience. So you can hear the hissing background almost from the beginning and than something deeper fades in. The backgrounds contain only 4 field recordings I used. Than I started with the natural sounds. The first field recording representing spring are the birds recorded just outside my house. There is a desire to use the field recording just as it is, without making any breaks. But I thought that I will cut the initial bird field recording into some short loops which fade out. Just to make it different. The third field recoding is my small railway station. I just drove to pick up my wife who was coming home. It was a rainy day. You can hear the window of the car opening during the field recording. There is also a woman walking an of course the rain. I couldn’t do the whole track without the recording of the breaking ice because it is so beautiful! I simply didn’t want to destroy the atmosphere of the recording. Here I used a field recording by my friend Jarek Grzesica, curator of the Warsaw Electronic Festival, who is also an artist and has a project is called Gold Plated Face (http://soundcloud.com/goldplatedface). 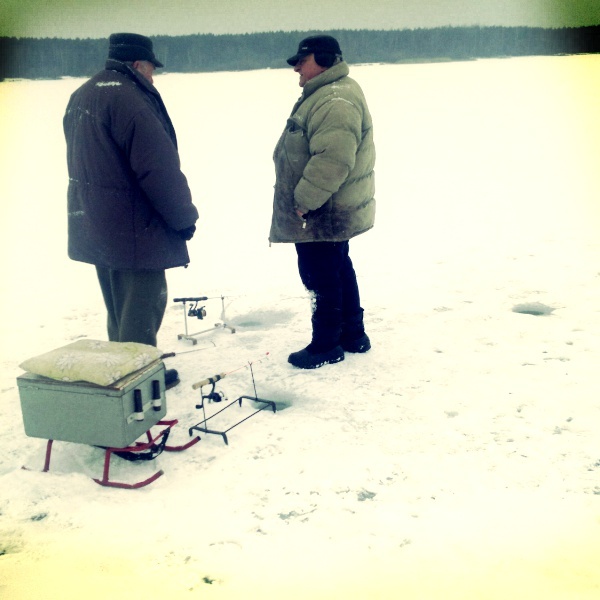 He allowed me to use his recording he did on the Zegrze lake. These are the sounds of the ice breaking in winter. This is crazy! And please don’t tell me that there are no climate changes… Last year we had the worst flood of the 21st century in Poland. This year the whole country is covered in… SNOW. What do YOU think about it? Szaleństwo. Tego dawno już nie było… A jeszcze pamiętam moją rozmowę na temat zmian klimatycznych z pewnym człowiekiem… no ja wiem, zima w maju się zdarza, ale ostatnio anomalia pogodowe są jakby częstsze. Co o tym sądzicie?